For Usain Bolt, tomorrow’s race (Fri 8) over 200 metres in the Samsung Diamond League meeting in the Stade de France will be, perhaps primarily, against himself – that is, best his memory of himself. After arriving, for the Meeting Areva, in the French capital, the World and Olympic 100 and 200m champion admitted that he had allowed himself to get “too laid back” last season, which caused him to suffer another episode of the back problems which have troubled him throughout his career. So when he takes to the track here for the third consecutive year he will be looking, primarily, for a smooth run in which he puts together the technique he and his coach, Glen Mills, have analysed back home in Jamaica by reviewing recordings of Bolt’s three races so far this season – timings of 9.91sec over 100 metres in Rome and Ostrava, and a world-leading 19.86sec 200 metres in a rain swept Oslo a month ago. 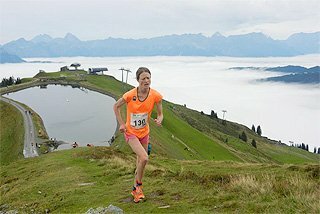 “I’ve trained and trained, and this race is all about execution,” he says. 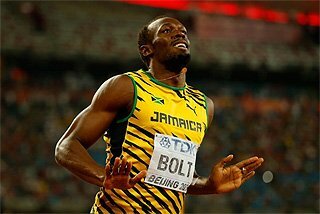 For Bolt’s opponents in recent years, the feeling is more akin to being executed. While his defeat in Stockholm last August to Tyson Gay offered evidence that even this outstanding performer needs to be near his best to remain unbeaten, his races so far this season have shown that being near to his best makes him better than anyone else. The forecast for the day of the meeting is mixed, although there is a suggestion that any rain may clear by the end of the evening, when the 200 metres is scheduled. But Bolt’s previous appearances here have made it clear that the weather is not a big factor for him. He won last year’s 100m in 9.84, and the previous year’s in 9.79sec, despite heavy rain. Attempting to close the gap on the fastest man in the world is an awesome task, and tomorrow night it will fall to home runner Christophe Lemaitre to try and fulfil that goal as an expectant home crowd looks on. The fact that the Samsung Diamond League schedule dictates a 200 rather than a 100 metres here may offer France’s European champion a little encouragement. Although his personal best of 20.16sec is almost a second slower than Bolt’s 2009 World record of 19.19sec, Bolt is not running that fast right now and Lemaitre may be worth better given his best clocking of the season so far, 20.28sec, was achieved into a headwind of 3 metres per second, prompting his coach, Pierre Carraz, to say that it was worth a sub-20 time in ideal conditions. 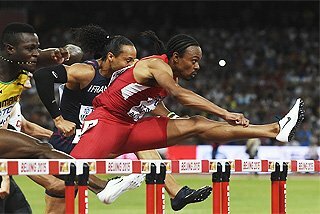 Bolt will be concentrating on himself, but he will also be aware of the potential of several of his opponents, including Alonso Edwards of Panama, who ran 19.81 two years ago and has run 20.60 this season, Darvis Patton, the experienced American sprinter who has recorded 20.25 this year, and his fellow Jamaican Mario Forsythe, who ran 20.16 last year. Former Olympic champion Shawn Crawford, who ran 19.73 in 2009, should also be taken into serious account, having run 20.24 this year. Despite the class of some of his opponents, however, the 200 metres is Bolt’s race to lose. 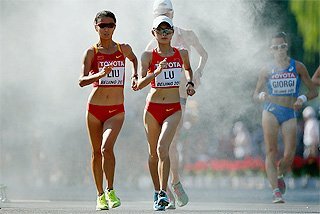 The same cannot be said of many of the other events at the eighth edition of this year’s Samsung Diamond League series. The women’s 800 metres features the reigning World champion, Caster Semenya of South Africa, who is reaching back into sub two-minutes territory as she continues her return to the track in what is her first full season since winning the World title in 2009. 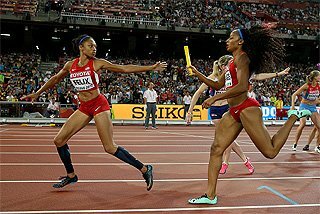 Semenya offered early evidence that she is capable of retaining her title this year as she won against a top class field in Eugene in a time of 1:58.88, despite running a poor tactical race and having to spend time in lane two as she approached the finish. Before her next race, at the Samsung Diamond League in Oslo last month, she spoke of wanting to remain “below 1:58, maybe 1:57.” In the event she had to settle for third place at the Bislett Stadium, finishing in 1:58.61 in a race won by Morocco’s Halima Hachlaf in a world-leading 1:58.27, with Russia’s Mariya Savinova second in 1:58.44. Despite her defeat, Semenya was satisfied at running faster than she had in Eugene five days earlier having put together a much smoother race before being passed in the final 50 metres. That said, her last two races have been less than sparkling as she came home 13th in the Lausanne Diamond League 1500m in 4:16.36 and finished fifth in the 800m at Rheims on Tuesday in 2:01.02. Hachlaf’s time is now the second best this year, behind the 1:58.10 run last month by Svetlana Usovich of Belarus, and just above the 1:58.29 recorded by Jamaica’s Kenia Sinclair, both of whom are also in this race, as are the new US champion Alysia Montano, who has a 1:58.33 to her credit this season, French recordholder Hind Dehiba and Britain’s Jenny Meadows, winner of the Shanghai Samsung Diamond League race. The men’s 110m Hurdles sees David Oliver, who has regained momentum this season after his shuddering defeat by local hero Liu Xiang at the Shanghai Samsung Diamond League, face his other main challenger for the world title in Dayron Robles, Cuba’s world record holder, who has been indicting that he is moving back to his best after injury problems with his victories in Hengelo (13.07sec) and Lausanne (13.12). Oliver, unbeaten outdoors last season, regained his bragging rights after Shanghai by gaining revenge over Liu Xiang when winning the Eugene Samsung Diamond League race in 12.94sec, the world’s fastest time this year, and the amiable American likes this track in Paris, having won here last year in his personal best of 12.89sec, putting him third on the all-time list. Oliver’s US team-mate Aries Merritt will be striving to get closer to his classy company, having run 13.12 in rainy Oslo last month. The French, meanwhile, will be hoping inspiration hits their three challengers – Garfield Darien, Dimitri Bascou and Ladji Doucouré, the 2005 World champion. Campbell-Brown – a meeting record on the cards? The women’s 100m meeting record stands at 10.88sec (1998) but it could come under threat given the presence of Jamaica’s double Olympic 200m champion Veronica Campbell-Brown, who set a 100m personal best of 10.71sec in Ostrava on 31 May and has four sub-11 times to her credit so far this season. She will be pushed hard by fellow Jamaican Kerron Stewart, who recorded 10.87 at the Eugene Samsung Diamond League. But also in the mix will be Bulgaria’s rejuvenated Ivet Lalova, an Olympic finalist in 2004 who has fought back to the top level after years of serious injuries. French eyes will be on their European 200m champion Myriam Soumaré. For Jeremy Wariner, America’s former Olympic 400m champion, this meeting offers the opportunity of extending an unbeaten run at the Stade de France. The Texan runner arrives with a season’s best of 44.88sec, but has the talent and experience to improve that considerably. Nevertheless he faces a challenging field which includes Christopher Brown of the Bahamas, who has run 45.16 this year, Jermaine Gonzalez of Jamaica, who broke through to a personal best of 44.40 last season, and South Africa’s multi-Paralympic champion Oscar Pistorius, who ran a personal best of 45.61sec and is seeking the ‘A’ qualification standard of 45.25 to be eligible for this year’s IAAF World Championships and next year’s London 2012 Games. While Lemaitre will feel the pressure of home expectation, so will pole vaulter Renaud Lavillenie, who is at the top of the Diamond Race standings thanks in part to a clearance of 5.83m in Lausanne on 30 June. 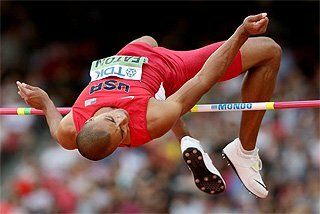 His three best vaults of the season stand second, third and fourth in this year’s list behind the 5.84m posted by 2007 World champion Brad Walker of the United States, who will represent the main threat to the Frenchman tomorrow. Germany’s Malte Mohr, winner of the Doha Samsung Diamond League and second in Rome and Lausanne, is also showing the consistency to be a serious challenger. The men’s 1500 also promises to be a highly competitive affair, including as it does the former World champion Bernard Lagat of the United States, always a fearsome finisher, and Kenya’s Olympic champion Asbel Kiprop, who has been in excellent form in the Diamond League this season over 800 and 1500m, and whose best of 3min 31.76sec this season, recorded at the Shanghai Diamond League meeting, stands second in the world lists to that of the surprise winner on that day, fellow Kenyan Nixon Chepseba, who clocked 3:31.42. Although Chepseba is not running here, there will be many serious challengers to the Olympic champion other than Lagat, including Morocco’s Amine Laalou, who has run 3:31.92 this year, the always dangerous Mekonnen Gebremedhin of Ethiopia, who has a 3:31.90 to his credit in 2011, America’s Andrew Wheating, New Zealander Nick Wills and Saudi Arabia’s rising talent Mohamed Shaween, who took two seconds off his national record this season in recording 3:31.82. 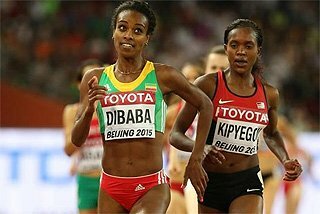 The presence of Ethiopia’s Meseret Defar, the 2004 Olympic and 2007 World champion and the second fastest of all time behind her compatriot Tirunesh Dibaba, will offer an immediate focal point for the women’s 5000m. Defar has victories in Hengelo and Oslo to her credit this season, but she will be pushed hard to overcome her compatriot Sentayehu Ejigu, who has run a personal best of 14:32.87 this season. 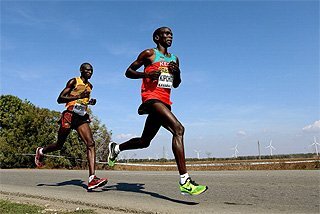 These two are the best known of a fearsome contingent of nine Ethiopians, including Tirunesh’s younger sister Genzebe, in this race. Those hoping to break into the party include Kenya’s Mercy Cherono and Shalane Flanagan of the United States. The men’s Discus Throw offers a field which contains the world’s top five this year – Robert Harting of Germany, the reigning World champion, Poland’s Piotr Malachowski, runner-up in Berlin two years ago, Estonia’s Olympic champion Gerd Kanter, Germany’s Martin Wierig and the former multiple World and Olympic champion Virgilijus Alekna of Lithuania. The meeting record of 70.21, set in 2004, may yet be challenged. 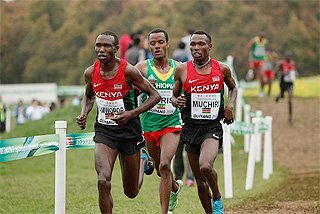 In the absence of the world’s leading pair of Paul Koech and Brimin Kipruto, the men’s 3000m steeplechase may offer fellow Kenyan Ezekiel Kemboi, the 2009 World champion, the chance to shine again. He was second here in 2009, and third last year, so he knows the lie of the land. 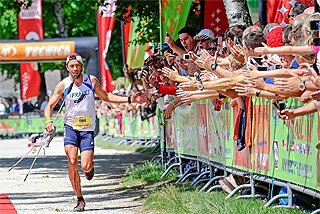 But France’s European champion and Olympic silver medallist Mahiedine Mekhissi-Benabbad will be eager to reproduce his home win of 2009 after his recent failure to secure the European record at the Oslo meeting. The 26-year-old has a personal best of 8:02.52 in Brussels last year. Australia’s Mitchell Watt has been having a storming season so far in the Long Jump, having started by improving his PB to 8.44m on the home ground of Melbourne, a performance he equalled in winning the Shanghai Samsung Diamond League event. But he will face a strong challenge from South Africa’s Olympic silver medallist Godfrey Mokoena, Panama’s former World champion Irving Saladino and Ghana’s Ignisious Gaisah. The women’s 400m Hurdles has been wide open this season, with Jamaica’s Olympic and World champion Melaine Walker and Kaliese Spencer, who is at the top of the Diamond Race Standings, both taking their turn to impress, along with Lashinda Demus of the United States, who has the current 2011 world-leading performance of 53.31sec and shares Diamond Race pole position with Spencer. All three will have the chance of putting a better order to the event here. 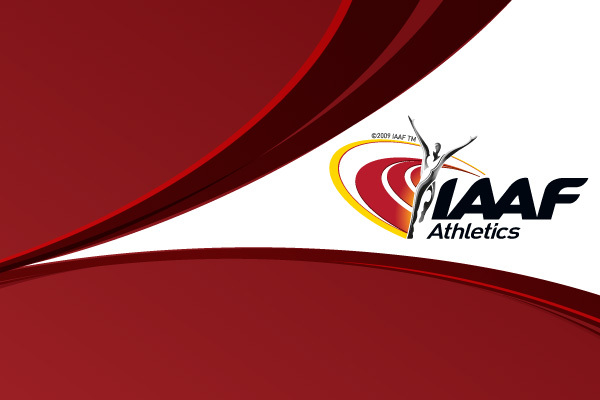 The men’s High Jump returns to this meeting for the first time since 2005, and victory could well end up with Russia given the participation of Aleksey Dmitrik, Andrey Silnov and Ivan Ukhov, who took the European indoor title in this city earlier this year. Dmytro Demyanyuk of the Ukraine, with a 2011 best of 2.35m, will also challenge, as will Germany’s Raul Spank, who has cleared 2.32 this year. Barbara Spotakova, the Olympic Javelin champion from the Czech Republic, is still to find her best form this season, having a best so far of 65.77m, so she will be stretched to cope with the two competitors who took silver and bronze behind her in Beijing, respectively Maria Abakumova of Russia, who has thrown 67.98m this season, and Germany’s Christina Obergfoll, whose 2011 best stands at 66.22. 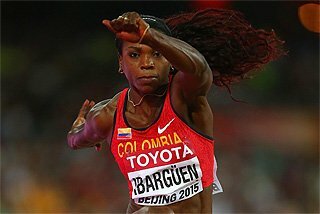 Cuba’s double World champion Yargelis Savigne will be hoping to dominate the Triple Jump, but her best this year of 14.95m has been bettered by the Ukrainian No1 Olha Saladuha, who set a personal best of 14.98 in winning at Eugene and who has cleared 14.60 four times this season. 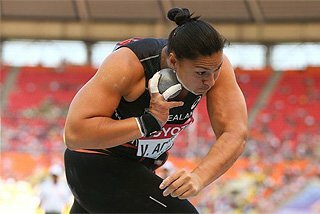 The women’s Shot Put sees another meeting of strong rivals as New Zealand’s World and Olympic champion Valerie Adams seeks to build on her strong start to this season against the woman from Belarus who won the Diamond Race Trophy last year, Nadzeya Ostapchuk. Ostapchuk won at the World Challenge meeting in the outskirts of Moscow last weekend, setting a 2011 best so far of 20.94m, but Adams beat her in Oslo and has a season’s best of 20.55.